We have two exciting Secondary Glazing projects completed: one on singlei-glazed windows on an apartment complex on Ormond Quay, Dublin. These are single-glazed sash windows, which had become very draughty and rattly over the years, leaking energy and because of traffic – were very noisy. 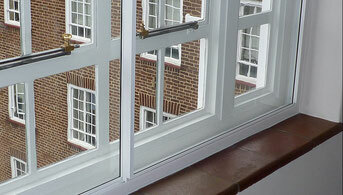 By fitting Secondary Windows it eliminated the draughts, keeps in the heat and minimises noise levels by up yo 70%. A similar contract has just been completed on an apartment block on junction of Capel & Bolton St, where client was having issues with noise emanating from a local business – we had similar success on both. We have also completed a ‘front of house’ Secondary Glazing contract in a business premises on Lombard St, Dublin. The existing windows were single-glazed and required the benefits of extra glazing, without having the expense of having to remove perfectly good hardwood windows and changing the face of the premises. As the Secondary Windows allow our client to slide them open / closed for periodic ventilation, he uses the ‘air gap’ in between our glass and the glasses on his primary window to display products for sale. For this client - Secondary Glazing combined Energy Savings, Sound Proofing and Increased Security for our client. A gorgeous period home in Rathmines, Dublin have also benefitted from the fitting of our Secondary Windows. The existing windows are original sliding sash, had become draughty over the years and client was complaining of ‘cold zones’ around the windows and the difficulty in heating the home and windows and external doors were generally in need of Energy Saving measures. Our client had seen our work first-hand in The Merrion Hotel, Dublin and required increased Energy Savings, Sound Proofing and Increased Security. Our client has confirmed that as a result of our Secondary Glazing work their home is now much warmer, much easier to heat and when the house warms up - the heat is retained for much longer, making them much more comfortable and thereby saving dramatically on fuel consumption!! Another contract followed on from a chat with a colleague who had previously had her home fitted with our Secondary windows in Wellington Rd, Dublin, where we completed a similar contract on windows in a Listed Building, where there were perfectly good sash windows in place. The windows in this home, had beautifully preserved leaded glass. The architect had advised the client that Secondary Glazing was the answer to eliminating draughts, retention of energy, with the added bonus of good sound insulation. The client confirmed that the results in each case were immediate. Occupants of an office in a busy part of Sligo town were experiencing difficulty with traffic noises on a constant basis. 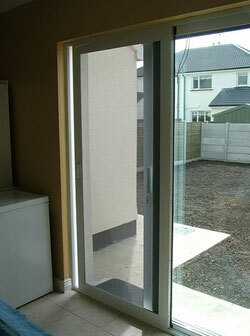 Having Secondary Glazing fitted eliminated the problem for them. Homeowners in Trim, Bective, Kilmesssan, Dunshaughlin, Drumree and Navan, who knew about our service in Co. Kildare – all had noise issues through their uPVC Double Glazed windows and as result found it difficult to sleep and some had children who had difficulty studying as result of road noise. A well-known business premises on Fitzwilliam Square, Dublin had noise issues with some windows. This issue solved itself with fitting of Secondary Windows. Apartment dwellers in Temple Bar had ongoing issues with noise from passers-by, late night noises. An established Guest House in Carlingford, Co. Louth had ongoing issue of road noise. We initially Sound Proofed the most offending windows in 2016. Others were treated to the benefits of Secondary Glazing in mid -2017 - with total success. Staff working in offices on Lavitts Quay, Cork City where quiet background, (without having to deal with issue of road noise emanating through the windows) was mandatory. This was a great test and our Secondary Glazing passed with flying colours. The well-known Cryan’s Hotel, Carrick-On-Shannon and Ashley Hotel, Cork City have availed of our Sound Proofing System with total success. A well-known Guest House in Fermoy, Co. Cork. We are fitting Secondary Glazing in private homes nationwide together with on-going works at The Merrion Hotel Dublin, Jury’s Inn at Parnell St and Jury’s Inn at Christchurch, Dublin, The Dingle Benner Hotel and Townhouse Guest House in Dingle, Co.Kerry, a newly opened Hostel on Old Dublin Rd, Drogheda, a doctors surgery on Fair St, Drogheda, a farmhouse in Ballycarney, Enniscorthy, Co. Wexford, together with Sound-Proofing of windows in apartments in Castleforbes Square, Dublin, Mount Merrion, Dublin, Sandyford, Dublin, Dundrum, Dublin, Strand Rd, Dublin, Strand St & Liffey St, Dublin, Upper Rathmines, Dublin, Richmond St, Dublin, Harcourt St, Dublin, Malahide Rd, Dublin, Donabate, Co. Dublin, Sallins, Co. Kildare, Naas, Co. Kildare, Airton Rd, Rathfarnham, Dublin, Mullingar, Co. Westmeath, Castlebar, Co. Mayo, Ballina, Co. Mayo, Newbridge, Co. Kildare, Wexford Town, Julianstown, Co. Meath and many more nationwide. A leading roadside Bed & Breakfast in Merlin Park, Galway, the property of Marion Martyn, featured recently on RTE TV, B&B Daniel O’Donnell Show have had our Sound Proofing works carried out on all the bedroom windows for extra client comfort. Similar Sound Proofing works, using our Secondary Glazing have been carried out in Dingle, Co. Kerry on The Dingle Benner Hotel and the Townhouse Hotel, which have Period Sliding Sash windows in place. We are proud to be the first Irish company to design, patent, fabricate our own range of Flyscreens and accessories for all Irish windows. We have recently been contracted to fit our Heavy Duty, patented Flyscreens in businesses like Corrib Oil outlets – in Tuam, Caastlebar, Swinford, Westport, Louisburgh, Loughrea, Ballinasloe, Birr, Carrick On Shannon. Many private homes in Limerick City, Adare, Co. Limerick, in Castlemaine, Co. Kerry, Flyscreens and Flydoors for thriving businesses in Liams Café, Balla, Co. Mayo, a crèche in Headford, Co. Galway and a farming business in Vicarstown, Co. Laois to surpass all 2001 EU HACCP, FSAI Dept of Agriculture & Global Food & Hygiene Regulations Regulation requirements. We have recently carried out Flyscreening work for the HSE at locations in Dublin - in St James’s Hospital and Temple St Children's Hospitals, - in Donegal at St Joseph’s Hospital, Stranorlar, Letterkenny General Hospital, Killybegs Hospital, Dungloe Hospital, St Joseph’s Hospital Carndonagh - in Mayo at Mayo General Hospital, Castlebar, Belmullet Commmunity Hospital, in Sligo at Sligo General and St John,s Hospital, Cregg House at Ballincar, Sligo & Cregg Services, in Galway at University College Hospital, Loughrea Community Hospital, Merlin Park Hspital, Portiuncla Hospital, Ballinasloe, In Limerick at St Ita’s Hospital, Newcastlewest, Primary Day Care Centres, Crèche facilities and community hospitals in most counties in Ireland. We have just fitted our 50th '' Storm Door'' - a refined powder-coated, colour- coded aluminium screen door, usually fitted onto its own extension framing, which can be fitted outside of any door to help protect the existing door from the elements is now available in Ireland. This door can eliminate the possibility of having to change your beautiful hardwood door. The Storm Screen, fitted independently of the existing door (on drop-pin cast steel hinges), can be removed easily for the summer months if necessary. 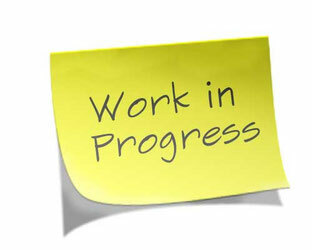 *For all images and detail please refer to our website: www.windowsealflyscreens.com (Images Galleries). Our quality retrofit door draught-proofing system, suitable for all existing wooden windows and doors, has been the choice of professionals since 1989 and continues to be the most successful available in Ireland. Secondary Glazing work on windows can be combined with fitting of our colour-coded, Retrofit Door seals, fitted onto existing wooden doors to complete the picture. Available in a choice of colours to match existing decor!! Many shop display cabinets do not have sneeze guards fitted !! We design, fabricate and fit Custom-Made sliding cabinet screens with safety glass, powder-coated aluminium frames that seat on the serve over side of most display units to act as Sneeze Guards and benefit from reduced energy savings. Available in a choice of white or brown framing.